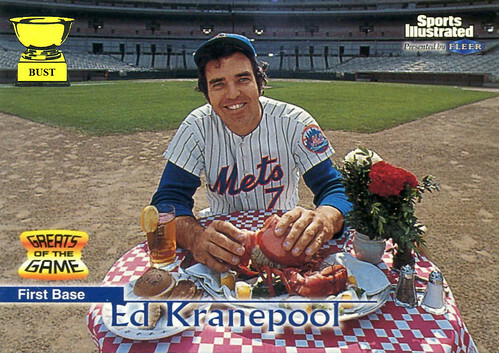 Pop quiz, alfresco: What's the strangest thing about Ed Kranepool's dinner, pictured above? B) Iced tea with lobster? What is this, amateur hour? D) What, no melted butter? I don't care. Love this card!